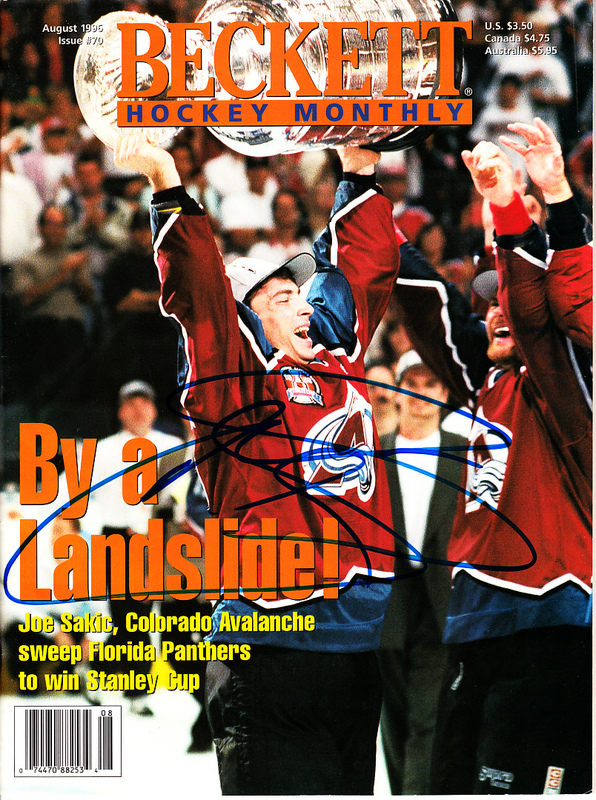 Beckett Hockey magazine with Colorado Avalanche 1996 Stanley Cup celebration cover autographed in blue marker by superstar Joe Sakic. Obtained in person. With certificate of authenticity from AutographsForSale.com. 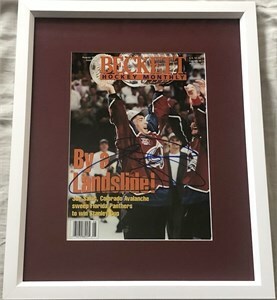 The upper right edge of the cover is creased but is still suitable for framing. ONLY ONE AVAILABLE FOR SALE.